Our top 10 list of games begins today, and at number 10 is the highly-addictive Fruit Ninja. A very popular game with everyone, whether it's families playing for the first time or friends competing for the the highest score, Fruit Ninja is the game that's easy to pick up and play with enough game modes to keep you entertained for hours. Arcade gives you sixty seconds to grab the highest score you can while avoiding the bombs, Classic mode challenges you to hit every piece of fruit with you only able to miss three pieces before it is all over, and finally Zen mode in which you need to slice through fruit as it is shot at you from a cannon. Everyone enjoys Fruit Ninja and we love to show it as people love the challenge of competing against each other. 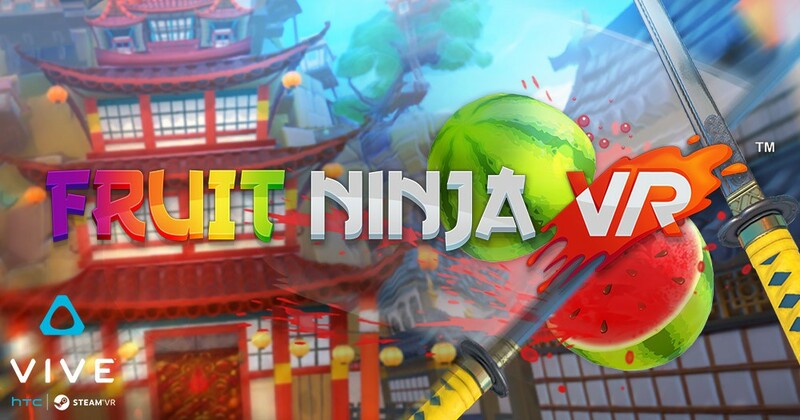 If you are a in virtual reality for the first time it is an incredible way to ease into it, if you are already familiar with virtual reality, Fruit Ninja is the perfect way to test your ninja skills.